Quentin Tarantino is an American film director, actor, and screenwriter whose passion for Asian films has earned him the distinction of receiving the Lifetime Achievement Award during this year’s Cinemanila. Internationally acclaimed filmmaker Quentin Tarantino (Reservoir Dogs, Pulp Fiction, Kill Bill) will be hitting Philippine shores in August to receive the Lifetime Achievement Award during special ceremonies in the 9th Cinemanila International Film Festival. Tarantino will be receiving the distinction for his iconic contributions to world cinema and continued support to the proliferation and promotion of Asian and independent films. Tarantino’s love for Asian films has inspired him to make use of various cinematic styles from films of the region such as wire kung-fu scenes, sword fights, and stylized action scenes in his own movies. His admiration for Asian cinema has made him one of its most significant advocates—the release of Zhang Yimou’s Hero and Wong Kar Wai’s Chungking Express in the United States were made possible by Tarantino. 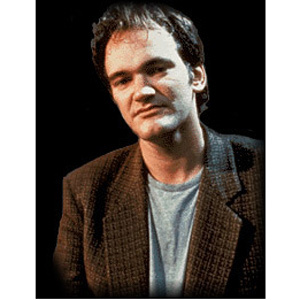 Renowned for cult favorites like Reservoir Dogs and Kill Bill, Tarantino has won accolades and citations from various groups, including an Oscar nomination for his direction of the critically acclaimed film Pulp Fiction. In 2004, he was selected to head of the jury of the Cannes Film Festival. Catch renowned director Quentin Tarantino as he graces the Festival this August. The Cinemanila International Film Festival, now on its 9th year, will have its official run from August 8 - 19, 2007. It will showcase the best of local and foreign cinema, including recent winners from the Berlin and Cannes film festivals. A special ASEAN Night celebrating the works of the region’s best filmmakers will open the event on August 8. Cinemanila will also be having a special Focus on the films of Bollywood (10 August), South Africa (11 August), and Turkey (12 August). Everyone is invited to these screenings and to the seminars and workshops. These include Master Classes in Directing (10-11 August) and Scriptwriting (12-13 August), a seminar on the Importance of Film Archiving in the Philippines (14 August), and a seminar on Indie Filmmaking (15-16 August). The CIFF is organized jointly by the Independent Cinema Association of the Philippines (ICAP), the Film Development Council of the Philippines (FDCP), and a specially commissioned inter-agency committee. For more information, you may refer to the official CIFF website (http://www.cinemanila.com.ph) or contact the Cinemanila Secretariat through its email address: cinemanila@gmail.com.